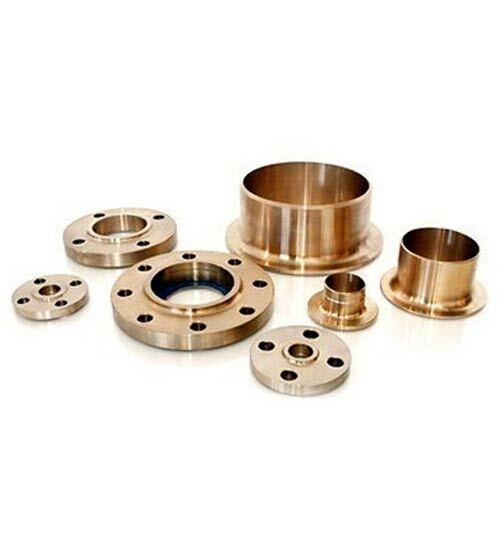 Sunflex Metal is a manufacturer and supplier of Copper Nickel Flange in India supply in grade of B152 UNS C71500 70/30 Flange & Cu-Ni UNS C70600 90/10 Flange. The Elongation at Break of Copper Nickel Flanges (rolled-H04 for flat products/hard drawn-H80 for tubing), is 11.00% and its Elongation at Break (annealed), is 40%. 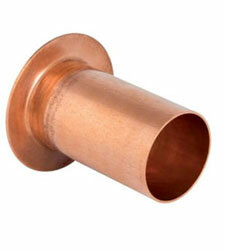 Cupro Nickel Flanges has a Thermal Conductivity of 32.9 W/mK (0.0900 BTU in/hr.ft². °F) and it has a Rockwell B Hardness of 69. Cu-Ni Blind Flanges specifications detail the exact specifications of various kinds of Cuni Flanges products, for use in different types of applications. 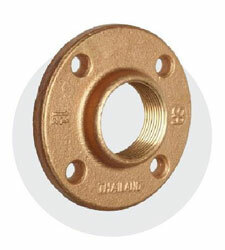 Copper Nickel Slip on Flanges has excellent hot and cold workability. 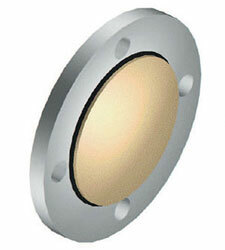 ANSI B16.5 Cupro Nickel Orifice Flange can be obtained in various thickness and dimensions, as per the need. 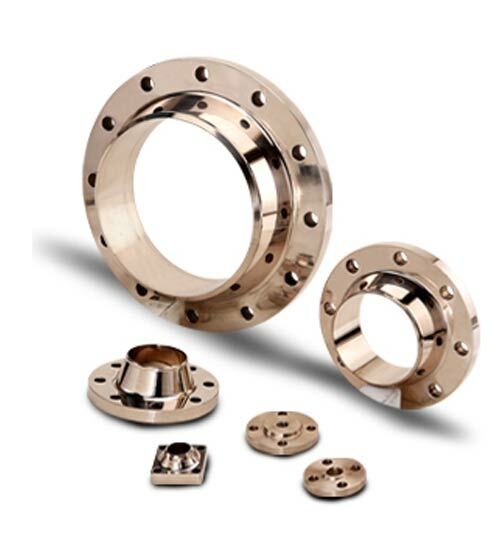 Such types of Copper Nickel Pipe Flanges are used a lot in seawater piping systems, crankshafts, tubes for light-duty condensers, sea water pipe-work desalination units and in offshore platforms. Cupro Nickel Nippo Flanges has an Elastic Modulus (C71500 annealed) of 22000 ksi (152 GPa). The Yield Strength (annealed) of Cu-Ni WNRF Flanges is 15000 psi (103 MPa). 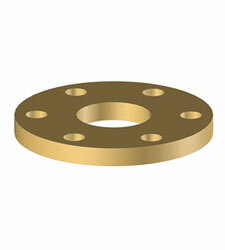 ASME SA151 Copper Nickel Threaded Flange has a Density of 0.323 lb/in³ (8.94 g/cm3). 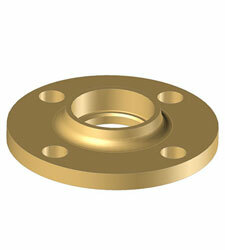 The Poisson’s Ratio of Copper Nickel Screwed Flanges (C71500 annealed) is 0.325. These Copper Nickel Blind Flange pressure rating is very important as it determines what kind of Cu-Ni Industrial Flanges can be used, for which purpose, in which industry. 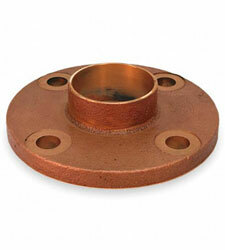 Copper Nickel Grade Forged Flanges is solderable, it shows scaling resistance and very good corrosion. ANSI B16.5 Cuni Ring Type Joint Flanges exhibits superb resistance to corrosion (seawater especially), cavitation and erosion. Good weldability is displayed by Cu-Ni RTJ Flange. 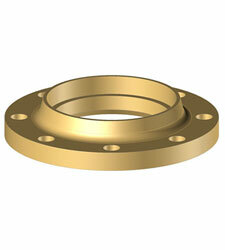 ASTM A151 Cu-Ni Threaded Flanges are durable and best of all, they are inexpensive. They are used in process equipment, hydraulic lines, automobile parts, underwater fencing, marine hardware components, feed water heaters, pump components, heating cables and in air conditioning plants. 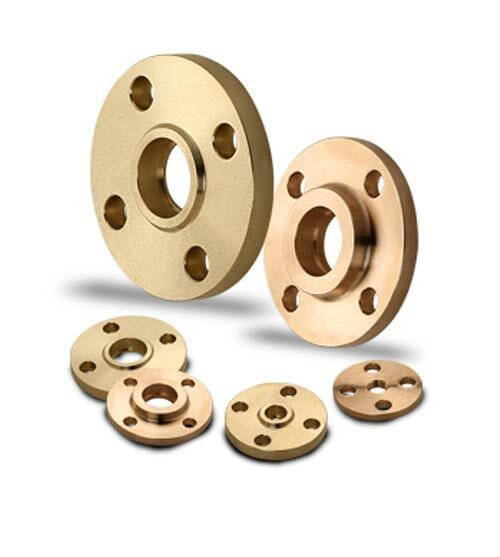 Copper Nickel Flanges Standard ANSI Flanges, ASME Flanges, BS Flanges, DIN Flanges, EN Flanges, etc. 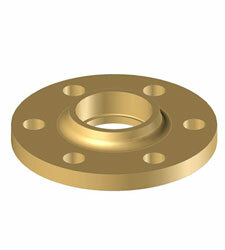 Solid Forged Copper Nickel Flanges, Classes 150, 200, 300 and 400. Copper Nickel Lap Joint Flanges Copper Nickel Plate Flanges Sizes 1/8" – 36"
Copyright © 1990 Sunflex Metal Industries. All rights reserved.